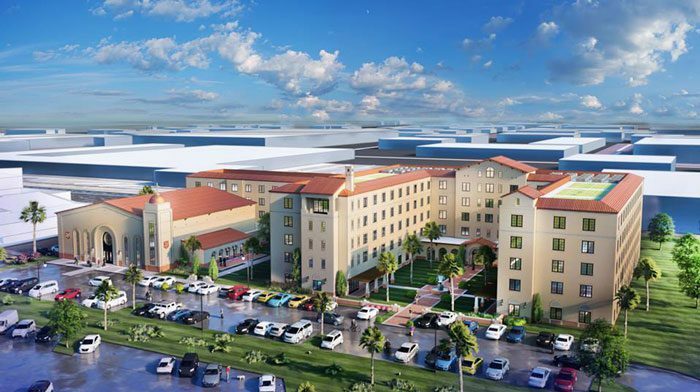 The 224-bed facility is phase one of the Army’s plan. 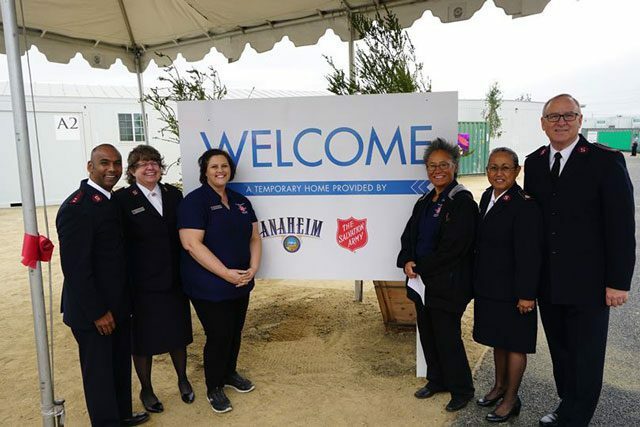 The Salvation Army Orange County (California) and the city of Anaheim held a ribbon cutting Jan. 31 for a 224-bed temporary homeless shelter on the property of the Anaheim Adult Rehabilitation Center (ARC). While officials bemoaned the day’s atypical Southern California conditions—temperatures that dipped to 50 degrees with rain—they were quick to note the new shelter’s importance for those who couldn’t escape the elements. 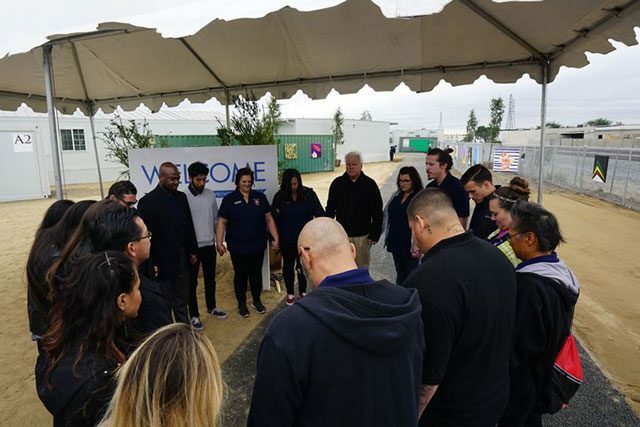 The temporary shelter is a response to Anaheim’s homeless “emergency” and the start of The Salvation Army’s proposed response to further combat homelessness in Orange County through its forthcoming Center of Hope campus. In 2017, The Orange County Register reported homelessness in Orange County rose nearly 8 percent since the last census taken two years prior. The report shows 4,792 people experiencing homelessness were living in the county, with more than half living without shelter. The same year, 193 of those people died while on the streets—marking the second deadliest year on record. 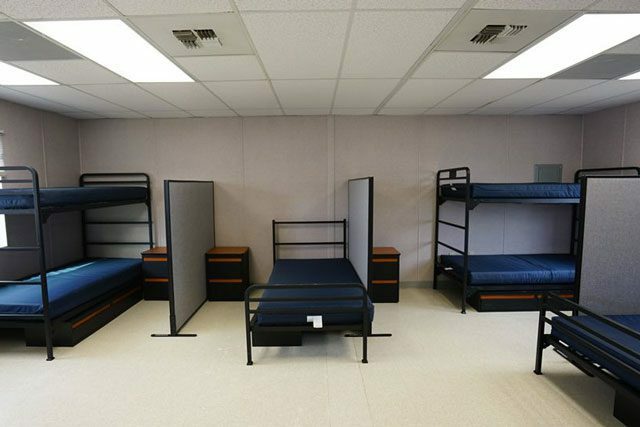 The low-barrier temporary shelter is made up of a sea of more than 20 portable units adjacent to the ARC, with designated housing units for men, women and couples among other units for meeting needs, including case management and dining. 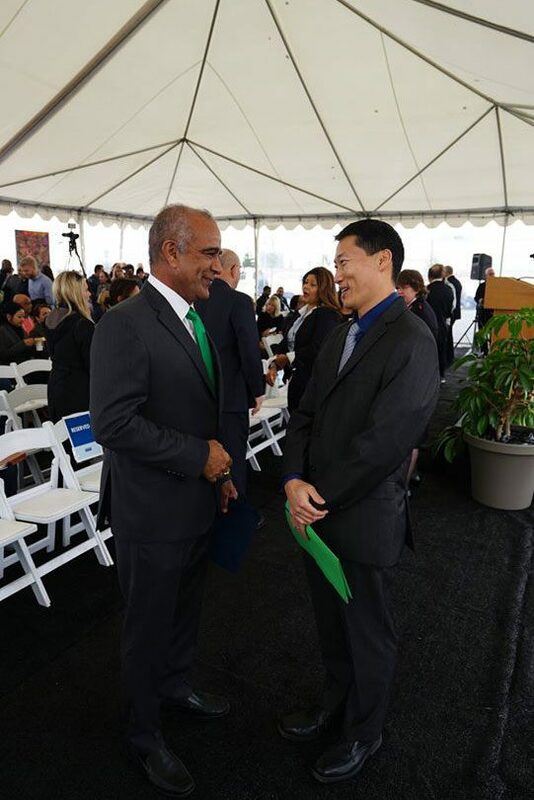 It all started with a “simple, harmless email” to former Anaheim Mayor Tom Tait, containing the dream for the Center of Hope, said Donor Relations Director Benjamin Hurst. Within half an hour, Hurst received a call from the mayor’s office requesting a meeting at 9 a.m. the next day. While the mayor and his staff were receptive to the idea for the Center for Hope, a member of the staff asked Hurst and Kistan, “Would you consider a 50-bed emergency shelter?” Hurst said by August 2018, 50 beds became 125 beds, which became 200 and then 224 by November. 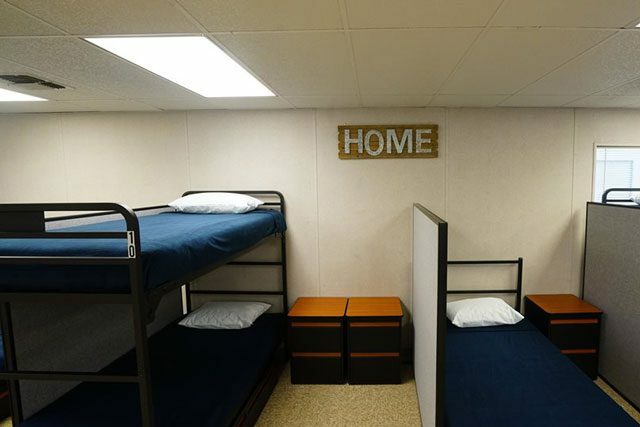 In September 2018, in federal court, Tait asked, “How soon can you turn a gravel and dirt lot into a trauma-informed homeless shelter built to last with full wrap-around complete services?” The Army said 90 days. Anaheim City Council voted to approve the temporary shelter Nov. 13, 2018, and January’s ribbon cutting marked 79 days since the city’s commitment. The 24-hour, trauma-informed shelter runs on a referral basis, officially accepting residents Feb. 1. The length of stay will depend on each case, with individuals utilizing job and housing services during their residency. 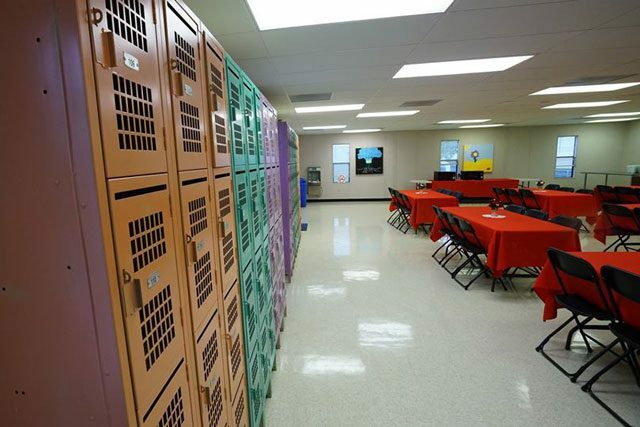 Each day, breakfast and dinner will be served out of the cafeteria, with food brought over from the ARC. Sack lunches will be provided as well. It is planned for ARC graduates to become shelter attendants. 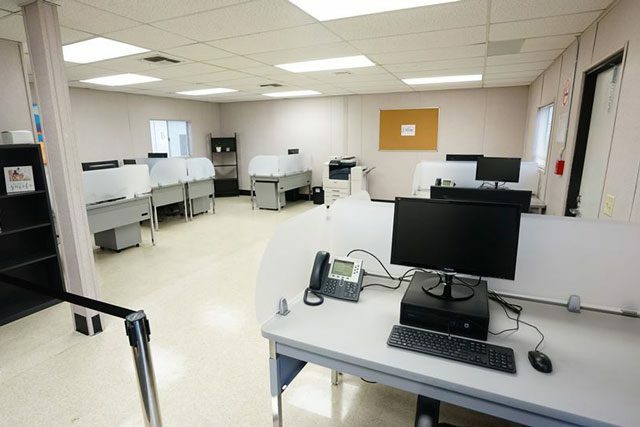 The shelter will also allow pets, a common barrier preventing individuals from seeking shelter service—and the facility includes fenced off dog areas. For now, the plan is for the temporary shelter to remain open for two years, until the Center for Hope opens. City Councilman Stephen Faessel represents District Five, which is home to the shelter. While Faessel admitted it wasn’t always easy to get neighbors on board with the shelter’s location, the results have been positive and the future is looking hopeful, too. Similarly, California South Divisional Commander Lt. Colonel John Chamness emphasized The Salvation Army’s commitment to fighting homelessness. Chamness urged “compassionate disruption” in fighting homelessness and said, as a society, we must begin addressing homelessness in a different way.